As Autumn approaches are you working on something new? Would you like a supportive forum to aid in your process? Dance in Dialogue #14 is putting its call out for choreographers and performing artists to share your work, providing you a motivating deadline, an enthusiastic audience, and 20 mins of focused time for you to dialogue with them as you continue your work. Deadline for submissions is September 8th, 5 pm. 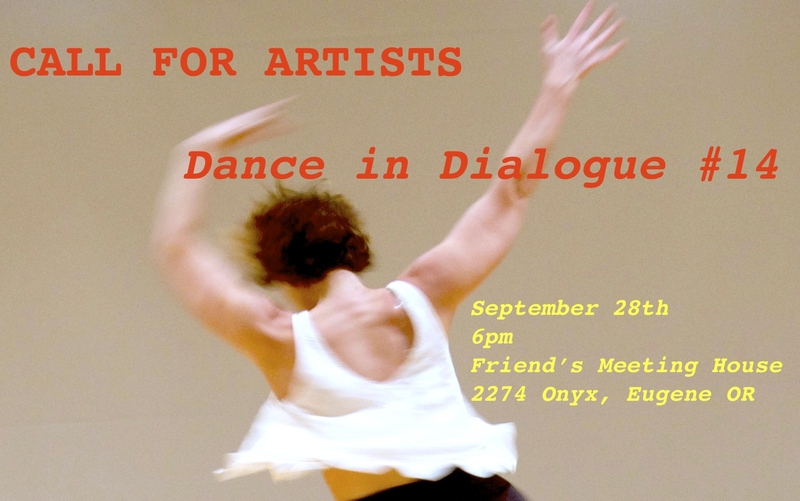 To apply, email brief work description (concept, dancers, collaborators), links to video samples of your work (past or present), and an explanation of how you might benefit for sharing your work in Dance in Dialogue. Send email to vanumm@hotmail.com & smockli@uoregon.edu. This entry was posted in Uncategorized on August 27, 2017 by danceindialogue.